The agency is orchestrating a robotic lunar campaign with a focus on growing commercial base of partnerships and activity that can support U.S. science, technology, and exploration objectives. NASA is planning a series of robotic commercial delivery missions as early as 2019 ahead of a human return to the Moon. These missions will deliver NASA instruments and technology to the surface of the Moon to conduct science and prepare for human exploration. Among the instruments to be flown are the instrumentation suite from the former Resource Prospector mission concept. "We conducted a thorough science and engineering assessment of Resource Prospector and determined all four instruments are at a high technology readiness level, are appropriate for science on the Moon, and will make flights on future Commercial Lunar Payload Services (CLPS) missions," said Dennis Andrucyk, deputy associate administrator, Science Mission Directorate, at NASA Headquarters in Washington. "These tools will provide important scientific data on various landing sites, and will help NASA better understand the lunar environment." The science potential for each instrument varies with the potential landing site, and most can be enhanced through mobility after landing. Since the agency announced a draft solicitation for CLPS in April, NASA has hosted an industry day for prospective responders to talk about the agency's broad plans for lunar exploration, and encouraged U.S. industry to respond for the first missions back to the Moon. NASA leadership also recently discussed lunar exploration plans during a public town hall, and discovering volatiles on the Moon was a primary topic of discussion. These early instruments will be an important step to better understanding what's below the Moon's surface. "We know there are volatiles at the poles on the Moon, and quite frankly, that water ice could represent rocket fuel," said NASA Administrator Jim Bridenstine. "If we have the capability to generate rocket fuel from the surface of the Moon, and get them into orbit around the Moon, we could use that to build a fueling depot. If we want to make that happen though, we will need commercial partners." NASA wants to ensure industry is moving with the agency as it pushes human exploration farther into the solar system than ever before, and meets the objectives of Space Policy Directive 1. CLPS missions will be among the first robotic steps back on the Moon, and NASA will follow the early, small lander missions with the first of two larger lander demonstration missions planned in 2022. These mid-size lander missions will be an important step toward evolution to human landers, and the mid-size landers are expected to be built through public/private partnerships. NASA's return to the Moon with commercial and international partners is part of an overall agency Exploration Campaign in support of Space Policy Directive 1. It all starts with robotic missions on the lunar surface, as well as a lunar outpost for astronauts in space around the Moon. 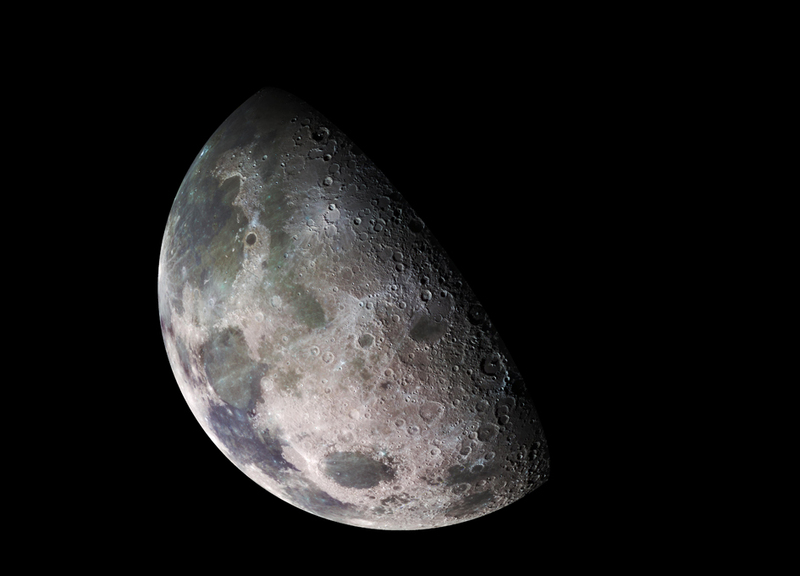 In addition to purchasing new small lunar payload delivery services, the agency is preparing to develop lunar landers, and plans to conduct more research on the Moon's surface ahead of a human return. And that long-term exploration and development of the Moon will give NASA experience for the next giant leap - missions deeper into the solar system. "We will renew and strengthen our commitment to American commercial space companies, and NASA will lead the way as we once again explore the Moon and look to Mars, and beyond," said Bridenstine.